It’s been a while since we’ve done an update on Inland Empire breweries, so, let’s catch up, shall we? Two new, long-anticipated breweries opened last month: Upland’s Rök House Brewing Company and Rancho Cucamonga’s Hamilton Family Brewery. Rök House has become the third point of what we’re calling the “Beermuda Triangle,” with its proximity to both Claremont Craft Ales and Dale Bros. Brewery. The brewery is celebrating its grand opening “Röxtravaganza” from noon to 10 p.m. this Saturday (August 2), with seven beers on tap and food available from the Viking Truck (naturally! 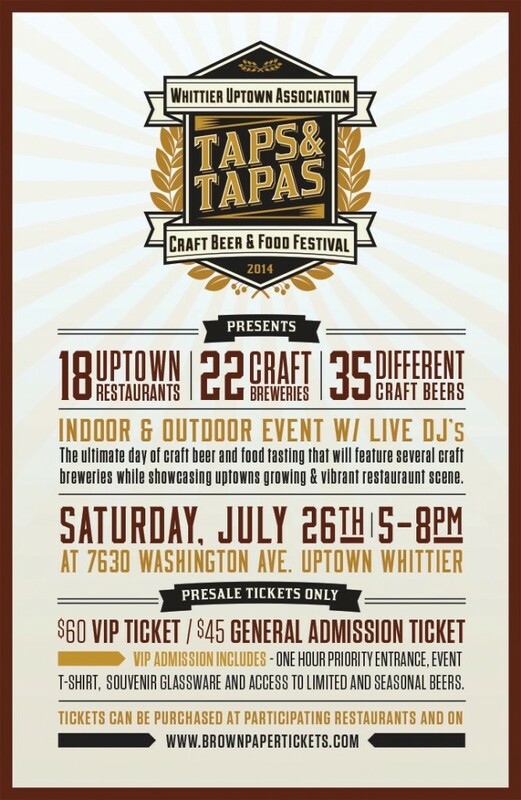 ), Pappas Artisanal and Buttercup Catering. 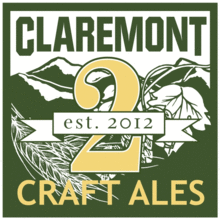 Congratulations to Claremont Craft Ales on its second anniversary! The brewery is celebrating Saturday (July 26) in two sessions: noon to 4 p.m. and 5 to 9 p.m.
On tap will be 20 beers, including several new varieties and several barrel-aged brews. Food will be available from Buttercup Catering, the Corner Butcher Shop, My Delight Cupcakery and Pappas Artisanal. 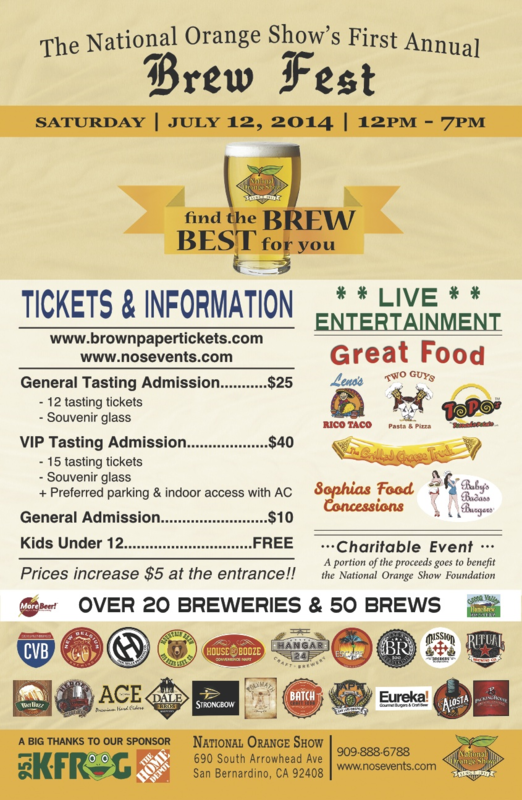 Looking for a brew fest? Head to Corona! 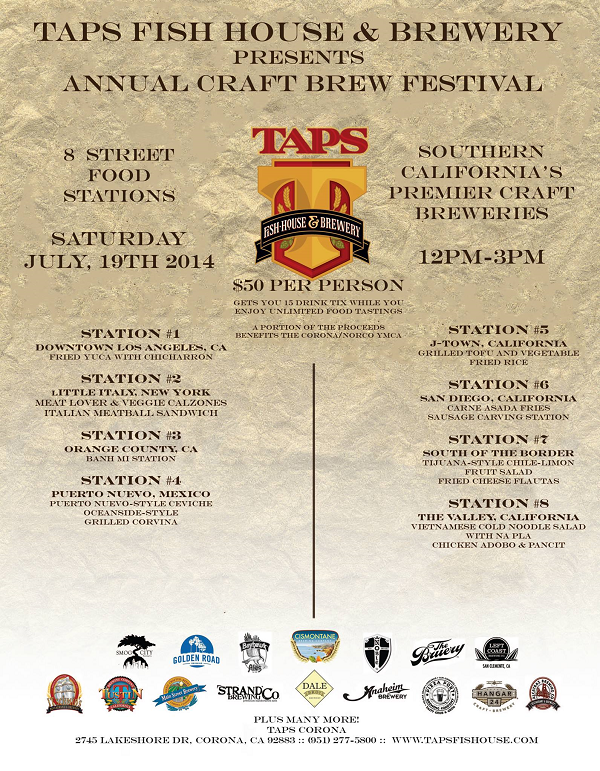 That’s where you’ll find the TAPS Fish House & Brewery Craft Brew Festival from noon to 3 p.m. today (July 19). Tickets for the festival are $50 and include 15 drink tickets and unlimited food sampling from eight regionally-themed food stations. Proceeds will benefit the Corona/Norco YMCA. 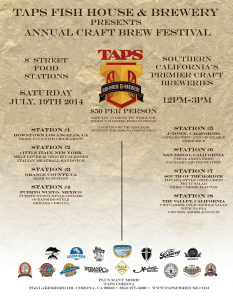 A number of breweries from across Southern California are scheduled to participate. 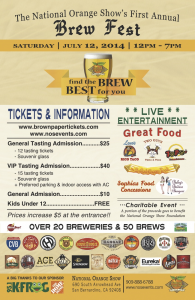 The National Orange Show and K-FROG are putting on the first-ever National Orange Show Brew Fest this Saturday (July 12). Over 25 local (and not-so-local) craft breweries are scheduled to participate, bringing over 50 brews to the event. Musical entertainment will include Kelleigh Bannen, Southbound, Front Porch Rodeo and Psycho Punx! It’s a family-friendly event, and kids can enjoy free samples of Batch Craft Soda and draw on the Chalkmobile. Long holiday summer weekends=craft beer. Angel City Brewing in downtown Los Angeles hosts a “backyard style party” from noon to midnight Friday that’s dubbed “Merica Fest. Details here. Torrance’s Smog City Brewing will be offering $2 off growler fills all weekend and has special holiday hours from 11 a.m. to 4 p.m. Independence Day. In case you were wondering… we're OPEN at 9am on #FourthOfJuly! Spend your #IndependenceDay w/ @GoldenRoadBrew+#WorldCup soccer!